It is quite difficult nowadays to find decent action games for mobiles. In name of action games you get titles like Soldiers D.U.T.Y which look like a college project of a beginner in game development. 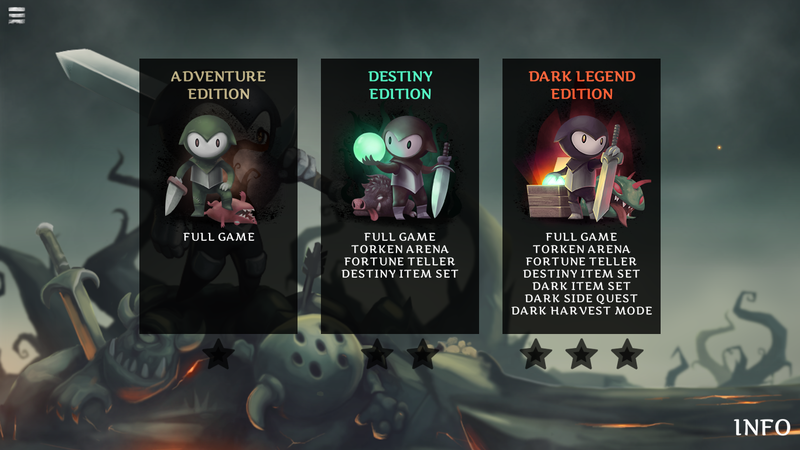 In search of my good games for mobile platform I chanced upon Reaper by Hexage. 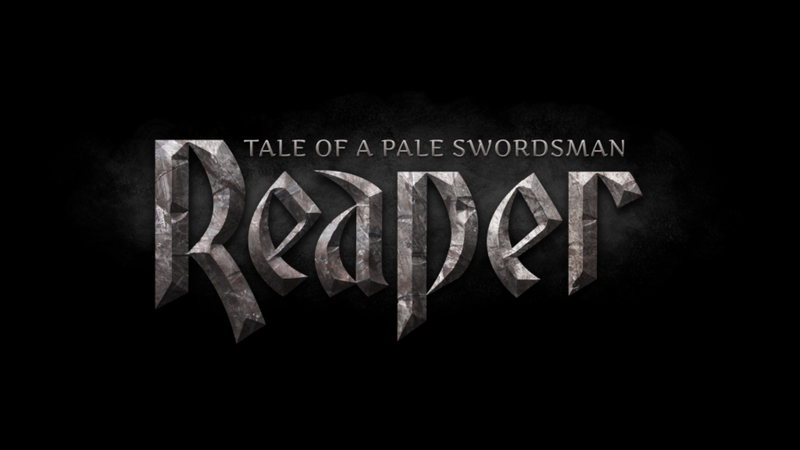 Reaper: Tale of a Pale Swordman give you an in depth gaming experience with the storyline dependent on your choices, weapon upgrades and a lots of fighting sequences to enjoy! Though labeled as a RPG, the game is more of a side scroller game with your character equipped with a sword to hack and slash on your enemies. The game has your traversing across Wilderness taking up missions as you wish and even bargaining for cash for the missions you do. The storyline revolves around tribes and ingenuous people called Imperialists who are engaged in wars with each other. The Imperialists use technology and the tribes of Wilderness use magic to fight each other. You come as a pale faced hooded character you takes up missions from any side just to earn gold and make yourself a better warrior by upgrading your defense and offence. There is no known history of your's neither if your aim for future clear. All you have is a clear slate to make your own future. The attacks are a complex combinations of sword attacks. When you go close to an enemy or a treasure box the character starts hacking automatically. This is called Auto Attacking and fuels a rage meter which is shown on top of the screen in form of skills. You can have at max 10 skulls at one instance. These rage meters fuel special attacks. A single jump in initiated by the space button if you are playing with a keyboard or double tapping while in air if using a touchscreen. Double space bar makes you jump longer. Double clicking space bar while in air starts a spinning whirlwind attack. You can slide left or right by pressing movement buttons twice. While in the air press the down button and you do a earth shattering attack. The skulls make your attacks more lethal. 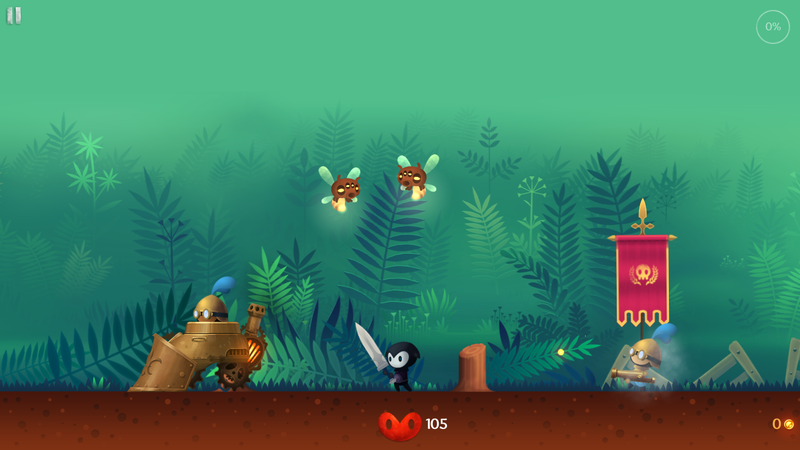 A single swipe of sword throws your enemy far away, increases your spinning time and power ups your earth shattering attack. With practice you will be able to use multiple attacks in combat allowing to you take down enemies faster and without much damage. For touch screens you might find a little bit of issue in controls registering but on Windows 8 PC it worth smoothly. For touch screen Reaper has HID game controllers which make sure that it is compatible with most touchscreen devices. The RPG elements remain limited to the map of Wilderness. There is no story to the game as it is and all you have are the quests. For instance there is one quest where you have an old man telling that you are possessed of darkness and that you need need to gather some herbs to cure you of them. However, on collecting those items you get to know from the old man's relative that the old man is just bluffing. There are shops in the game where you can buy various items like rings, swords, helmets to increase your various stats like attacks latency, defense, block chances and as such. However, I do like the fact that you can shape the storyline, you can choose to be kind or mean, you can choose your quests or decide to leave some, You are basically just a swordsman on hire with no alliance to any group. 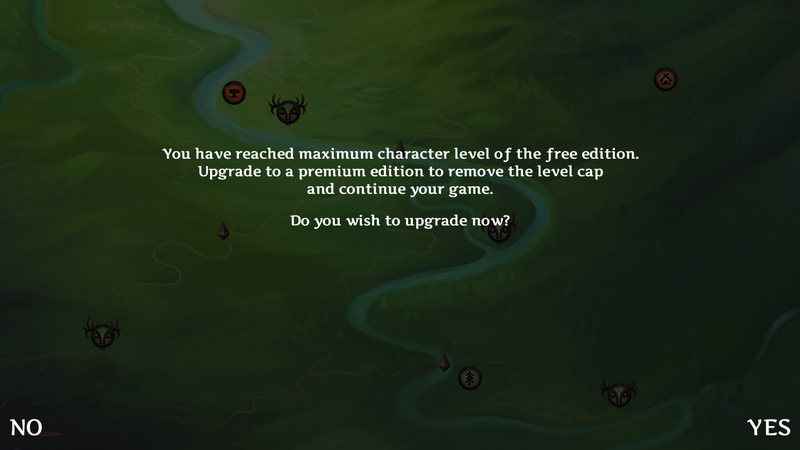 Reaper: Tale of a Pale Swordsman is a free to download game but you can proceed only till 10 levels before you are prompted to buy the game. The game is excellent so I don't see any loss in buying the game. The game comes in 3 difference packages and is not much costly either. The full game can be unlocked for as cheap as $3 and the most costly is just for $5 which unlocks many different weapons and a complete different game mode. Overall we can just say that the game is a complete payback for the amount you are paying and is a great example of an ideal mobile game.